RRResearch: When is it ethical to re-publish open-access scholarly articles? When is it ethical to re-publish open-access scholarly articles? Note added October 7, 2017: Apple Academic Press has fully addressed the concerns raised below. Their practices now ensure that authors are appropriately consulted and credited when their open-access articles are republished. 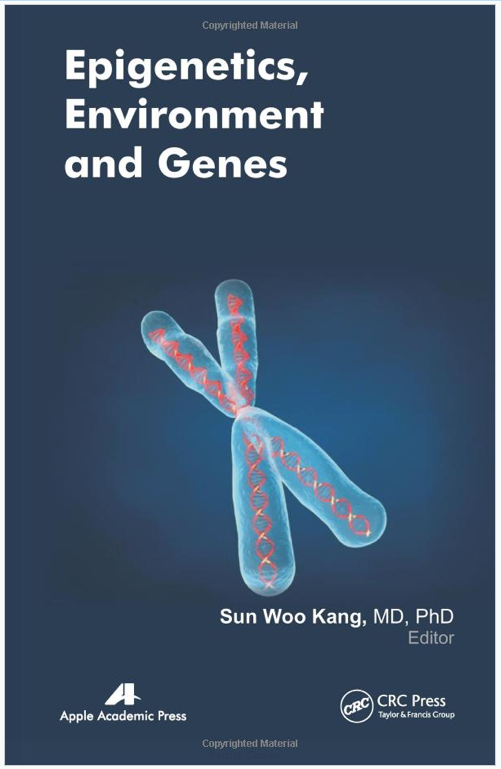 A colleague just discovered that an article she published in the BioMed Central journal Epigenetics and Chromatin has been republished, without her knowledge or consent, in a book, Epigenetics, Environment and Genes, 'edited' by Sun Woo Kang and published by Apple Academic Press. You can buy it on Amazon for $104.26 (Can). On checking the details of the BioMed Central publication agreement, we discovered that this commercial reuse is permitted. It's also permitted by the PLOS One agreement, though that is CC-BY which I think requires that the original publisher be credited as well as the authors. At first we thought that all the reprinted articles were from open-access journals, but at least one isn't. I've contacted the author of that article to find out if permission was obtained for its republication. I am answering the concerns over the reuse of your article in Epigenetic, Environment and Genes book published by AAP. However, that said, at Apple Academic Press we agree that authors should be notified whenever their work appears in a new publication. It is our current policy to contact all authors before including their work in any of our books. We apologize that this policy had not yet gone into effect when the edition of Epigenetic, Environment and Genes was in production, but we have rectified that now. 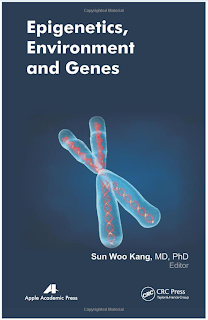 We would be happy to send you a copy of Epigenetic, Environment and Genes. 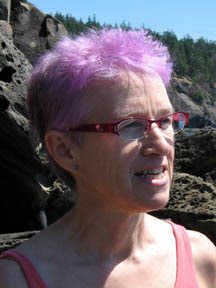 I have copied Ellyn Sanna (President and CEO) of Harding House publishing, So that she also gets aware of your concerns. I am sure if you have any more questions, she will be happy to take this further with you. Also, Our product line is growing rapidly, and we are looking to work with new authors in the STEM subjects. If you have any book concepts for your field (whether originally authored or compilations of recent research), we would be very interested in working with you in that capacity as well. Our authors and editors receive generous royalty contracts. I particularly like their brazen invitation at the end and the offer of 'generous royalty contracts'. My colleague and her co-authors are outraged; they had no idea that this commercial reuse was permitted by the standard agreements. In principle the authors should have read the fine print, but as advocates of open-access publishing I think the onus is on us to make sure that the copyright agreements are in accord with authors' reasonable expectations and wishes. At a minimum the open-access journals should inform their authors that unscrupulous publishers are standing ready to exploit their work. We're not the first to note Apple Academic Press's sleazy work. Read this post written by Mike Taylor a couple of weeks ago, complete with a nasty response from a former employee of the publisher. And this post by Christopher Schadt from a few days before that, which has a long comment thread about who has the rights to do what. I thought that permission for commercial reuse was pretty clearly indicated on the BMC website (http://genomebiology.com/about), at least as it stands at this moment, which may have been updated in response to this incident. Maybe this was only clear to me because I'm familiar with the CC system (and the prior development of software licenses), and know that "non-commercial" is an option, as is "share-alike". If this is not clear to authors, maybe publishers like PLoS should emphasize the differences among CC licenses (https://creativecommons.org/licenses/) and indicate which one they are using. Could you clarify what you find to be "unscrupulous" about this? Let's assume that the book publisher sincerely believed that the authors intended for their work to be freely republished. Do you think that they are implying that the book contains primarily original content? Is the problem with the price? Should it be more like $50? Do you think that collecting papers into book form offers any added value? Do you think it's deceptive to give the book a name like this? Would it be better if it were called "Kang's favorite papers on..."
It seems to me that their behavior is consistent with the law and the explicitly stated intentions of the authors (even if the authors did not mean to say what they said), and that they are only guilty of violating unstated conventions. Maybe publishers who abide by those conventions are partly to blame. Maybe they should be more explicit about the fact that they are publishing peer-reviewed, original content... so that readers are not trained to make assumptions about the nature of what they are reading. What is unscrupulous is to change the name of the paper to make it sound more broadly interesting to prospective buyers (compare “Genome-wide mapping” to the original title “Genome-wide mapping of imprinted differentially methylated regions by DNA methylation profiling of human placentas from triploidies”). While researchers may have signed away their claims on papers published in open-access journals, I doubt that that they expected secondary publishers to retitle (or make any changes what-so-ever to) the paper. So, is this an injustice to the authors, or only to the readers? If it is an injustice to the authors, does the license prevent them from seeking redress? For instance, if the editor changed the name of the paper, then it is no longer the paper that the authors submitted for publication, and the authors should not be listed as authors (but the editor does need to acknowledge that content was taken from the original publication). For the editor to suggest that the original authors are responsible for the edited paper is fraudulent, regardless of any license. If the publishers are misleading the readers, then they should be called out on that (whether in court or in the marketplace). But again, the open-access license is irrelevant. I am not a lawyer, but if what I said above is wrong, then the law is idiotic. Absolutely - if the secondary publishers make any changes to the content of the paper, they are no longer publishing peer-reviewed material (unless they solicit separate peer-review for their revised versions). CC-BY requires acknowledgement of authors and alterations. If Apple Academic Press doesn't do that, they are liable to be sued for infringement of the CC-BY licence (which, counter to the assertion in the original post, covers BMC journals as well as PLOS One and other PLOS journals). I also think the commercial reuse is quite obvious. Moreover, I wonder how much this publisher is really going to make, charging for content that's available for free. If the publisher picked articles they thought were worth collecting and put together a book without the authors actually having to do anything for the additional promotion of their work, why is anybody complaining? What if the publisher hadn't developed a book but a very effective drug from the authors' research and made a huge profit (presumably way more that this publisher will make)? Would they also complain? What if big pharma, by accident, got a hold of this book and they read this article they never would have discovered otherwise, just by chance, and got the idea for a fantastic drug and made a fortune, would they also complain? Maybe I'm missing some important part of the story, but the authors should be happy and glad their research was selected, not concerned. If these authors wanted to make sure their work isn't being read or re-used, why publish it in the first place? I thought the politicians always said publicly funded research is good for the economy. Now researchers complain if their work directly benefits the economy? There is something major here that I don't understand. I don't see how the economy is benefitted if libraries are tricked into paying $100 for hardcopy volumes containing papers that they (like everyone else) already have access to in their original and more useful online form. I agree there is no reason why there shouldn't be a place in the market for a print-on-demand house whose role is to provide printed-and-bound copies of PLOS and BMC papers for those readers who prefer reading offline and who don't have printers of their own. However, an ethical house of this kind would (A) not actively conceal the source of the works by changing their titles, (B) inform the authors of their works' availability in reprint volumes, and (C) charge something closer to the prices of other print-on-demand publishers -- e.g. you can by a hardcover copy of my 285-page dissertation from Lulu at £12.02 (= $18.46), rather than $113.95 for the comparably hefty Epigenetics, Environment and Genes. So Apple Academic Press is concealing the sources of work from potential buyers, not informing authors, and charging six times what they should be charging for access to already-free work. When writing the book, the author had to select the articles, put them in perspective, and perhaps comment them (I don't know in that case as I didn't read the book). So, even if you had free access to all the articles and you knew it, there is still an interest in buying the book, and it can be worth the price. Pedro, you are quite right that the CC By licence explicitly allows commercial use, and I am all for that. But in the academic world we are governed not only by what we can legally get away with, but also by ethical norms which include proper attribution. The "but it's perfectly legal" defence is exactly as valid here as it is when Google use it regarding their avoidance of UK tax: correct so far as it goes, but not the point. AlexW: these reprint volumes provide no perspective and no commentary. I have no way of proving it, but my best guess is that selection is done purely by keyword matching. The books certainly offer absolutely nothing that the original articles don't, except for the changed titles. (A) It’s hard to tell for sure if changing titles and putting sources in the acknowledgments is intentionally concealing (it’s suggestive, though), but intentional or not, it could have the effect you mention on potential customers. Put another way, it would be a clearer signal of what a potential customer is paying for if it said “collection of the best science not in GlamMagz” on the cover or some such. So no argument from me, would be good. How to instruct, police and enforce that? I’d imagine that’s a solvable problem for people developing licenses. Still, as an author, I wouldn’t be upset, while as a member of a university with a library that might potentially buy the thing on false grounds, I’d be upset. (B) Well, I find letting people know is good practice and not doing it just falls back on the publisher. Personally, I wouldn’t be *upset*, as long as it’s obvious that I’m the author and that my work (title!) isn’t being distorted to say a different thing from the original. So while I agree there clearly is plenty of room for improvement, I still think the principle is desirable and that this instantiation of it is at least already better than what we have now. I completely agree with Björn and couldn't have said it better myself. If you think the book is horribly overpriced (and I agree here) then you are free to concatenate the pdf files from the journal and throw them on Lulu. That's the beauty of CC-BY. Oh, and be sure to mention this cheaper alternative in your Amazon review. Finally, the only reason this happens primarily with open-access papers, is that NON-OA publishers charge outrageous amounts for the license to reuse commercially. I must be missing something. Why aren't the authors of the papers getting the royalties? They wrote the book. 1. The authors should be notified that their work is being republished. It is valuable to authors to be able to track how and where their work is being used. It sounds like Apple has already changed their policy to address this. 2. The titles should not be changed. The titles are part of the original work. Publishers wouldn't change the p-values in a paper (I hope! ), and they shouldn't change the titles. 3. The original source should be clearly cited on the first page of each republished paper. The reader would quickly see where the work was originally published, and this would make it clear that the authors are not double-publishing. If the publisher is being honest about what they are doing, there is simply no reason to hide this information. 4. The editor should include a brief introduction to each paper explaining why it chosen and how it fits within the context of the book and, more broadly, the scientific field as the editor sees it. If this were done, then the republishing could truly add value to the original papers. The books would have the potential to be more than just haphazard collections - they could help synthesize knowledge in the field. A set of papers collected and introduced by a trusted editor could help to introduce a researcher to a new field, or update a researcher on a field he or she already knows. With the exception of number four, these changes would not cost the publisher anything at all. The last change would might cost an hour or so per paper plus a few hours to introduce the books as a whole, but I think the improvement in the end product would repay the investment. I must be missing something. Do the authors of the papers/publications get royalties? They wrote the book etc. No, the authors gave up any royalty rights when they agreed to the Creative Commons license.